Kalashnikov’s and Krupnov’s miniature Orc manifesto is a breathtaking in the scope of its projections. If Tolkien’s depiction of the Orcs resembles the authors’ imagined slanderous depiction of Russians, then Tolkien is speaking about Russians. 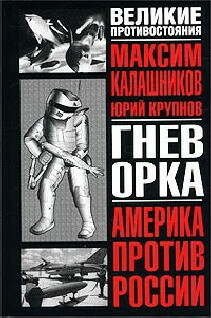 When they boldly take on the Orc mantle as an act of subversive appropriation, the objects of their rebellion starts to lose focus: they assume the identity of a famous group of villains in order to spite the authors of this Russophobic calumny, but those authors are the same as the author of the entire book: Kalashnikov and Krupnov. The equation between Russians and Orcs is all but unknown in the West, but it spreads in Russia largely due to the efforts of those who claim to be offended by it. This isn’t just self-colonization; it’s self-orientalizing. Yes, Orc-ism turns into a variation of idiosyncratic Eurasianism through the quotation of Blok’s famous poem “The Scythians” almost in its entirety (a move that is frequently repeated by later “Orcs” on-line). Later in the book, the authors (justly) condemn George W. Bush for his Manichaean world view, yet this is a description that suits The Rage of the Orc even better: any plot structure with two sides, one of which is said to be civilized, and the other barbaric, becomes available as a mode of Russian self-representation. (The authors also compare contemporary Russia to Isaac Asimov’s fallen, now barbaric Galactic Empire from the Foundation series). Why do Kalashnikov's Orcs looks like Doctor Who's Sontarans? If the appeal to literary fantasy might seem to cheapen ideological discourse, then, from my point of view, this is a job well done. While the comparison of a classic poem by Blok to Lord of the Ring fan fiction is troubling on aesthetic grounds, it exposes the fantasy in inherent in ideological claims of primordialism. After all, how much did Alexander Blok know about the actual Scythians when he wrote this poem? How much does anyone? What starts out as popular ethnography ends up as ideological cosplay.